Science now shows that meditation and mindfulness really work. For example, we now know that meditation not only lowers stress and improves mental sharpness but it also strengthens our immune system, gives us more youthful and healthy brain tissue, and can be as good or better than prescription drugs for treating mental illnesses like depression, addiction, and PTSD. So maybe there is something to what all those ancient masters were talking about. Turns out when you strip away the religious and institutional covers, they figured out how to feel happy, healthy and fulfilled and told us how to do it. 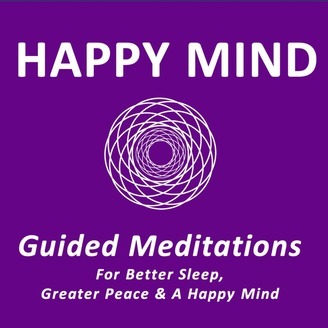 This podcast provides an easy way to access the simple meditation and mindfulness practices developed by the wisest masters to have graced this planet. Zebediah Rice guides you in an easy and free way to learn to meditate, become more mindful, energetic, happy, peaceful, and mentally sharp. Just sit back, relax, and let me do the work for you. You spend so much time with your attention anchored in the physical world that you often don't remember that you have an energetic body every bit as real as your physical body. There are eight energetic centers that represent this non-physical body and the first one is the ground level of your energetic body. Located at the base of your spine, this "first Chakra" represents the energetic connection to the physicality of your body, the manifestation of your consciousness into a physical form. So, by manipulating your consciousness on a consistent and directed manner, you can change your body. 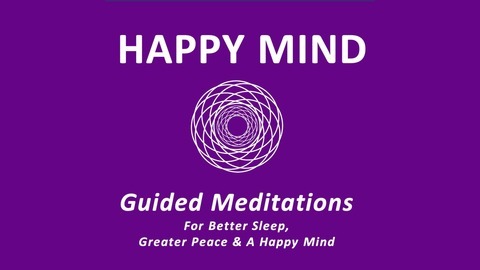 This 45 minute version of the Happy Body First Chakra guided meditation will help you do just that.